Torres Strait Islanders have warned Prime Minister Julia Gillard they could become Australia’s first climate change refugees if she continues to ignore the effects of rising sea levels in the area. Torres Strait island communities have repeatedly pleaded for funding to deal with problems like coastal erosion and inundation, but say they have been forgotten in the Government’s carbon tax package. In an open letter to the PM, Councillor Gela and council CEO John Scarce say they are still waiting for help from the Australian and Queensland governments to help them adapt to climate change. Sea levels have fluctuated ever since the Earth was created. Volcanic islands, by their very nature, rise and fall. It’s no surprise then that the Torres Strait islands will experience periods of high sea levels and low sea levels as Tectonic plates shift as a matter of course. No island in the Torres Strait has been evacuated because of global warming. In January and February 2006 a combination of king tides, strong winds and heavy rain caused severe damage to the Yam islands as high tides destroyed sea walls and flooded houses, roads and airstrips for several hours and six families were evacuated. Pouring money into Torres Strait islands to stop a natural occurrence is as stupid as thinking we can control our weather from Canberra with a carbon dioxide tax. Quite right. One must factor in geo-tectonics and continental drift. WA, for example, is moving towards the Indonesian Arc at the rate of 6 – 7 centimeters a year, causing crustal warping up and down – there’s your sea level changes! Good on ’em! I hope they continue to call Gillard out on her mendacious sea-level claims so the whole thing gets a good airing in the public arena. Could somebody stir up the Cocos Islanders as well? Congratulations, Julia. All your own creation. Perhaps someone can tell them that not only has there been zero warming since 1998, but now another study shows the computer models just don’t work. The ominous model based prediction about rising seal levels is therefore just crap. Furthermore, the EU’s Envisat system shows no rise in sea levels. So my message to the Torres Strait Islanders… nice try guys, but sorry, its all bull! I’ll bite.. what are they proposing to do with the money? If the Earth continues to freeze then it is more likely that the sea level will once again retreat and perhaps even restore the land bridge that existed between Niu Gini and Australia some 60,000 years ago. Will Julia then try to encourage the production of more carbon dioxide to pump into our atmosphere? 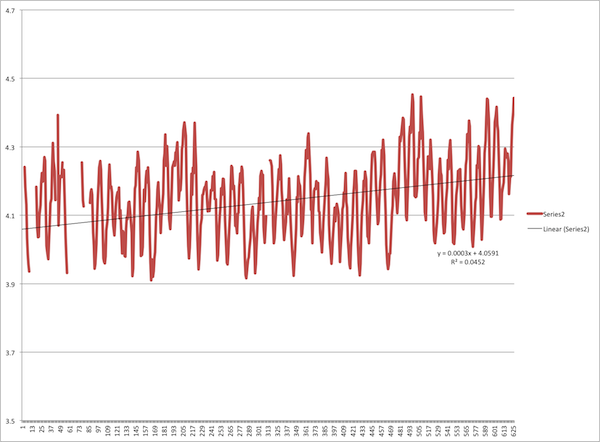 Sea level has been generally rising for the past 20,000 years, though slower in recent years. They must have had some nasty power stations back then.